IRMA, an Non-Governmental Organization dedicated to Effective Irrigation Management organized from 26 to 28th of December 2014 the 1st International Symposium regarding the Effects of Irrigation and Drainage on Rural and Urban Landscapes ( IRLA2014). 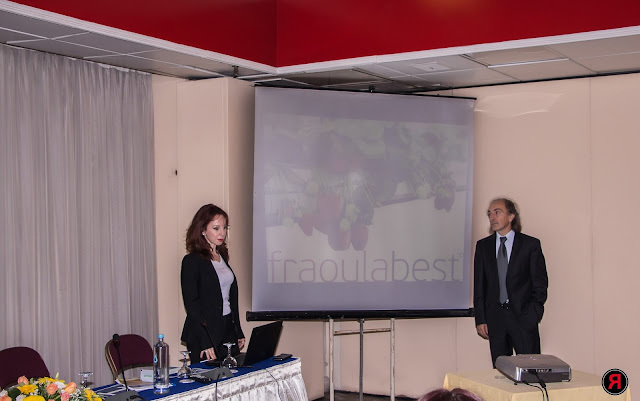 IRTC and it's affiliated dissemination tool hydroponics.gr participated in the parallel events of the Symposium by presenting a hands on business case named FRAOULABEST. The FraoulaBest (Hydroponic Strawberry) system is the extract of the research of IRTC's scientists in various geographical regions such as Cyprus, Serbia and Greece. The show case presented by Mr. Christos D. Katsanos , member og IRTC and Ms. Xenia Pitta , head agronomist of TSAHALOS GROUP. The company has already invested 3,0 Ha of Greenhouse. The experiences (pros and cons) were presented by Ms. Pitta and discussed with the audience as well.